The tech giant Google recently announced the launch of an app developing tool, a new service that people inside organizations can use it to easily develop custom applications based on their business needs. The G Suite productivity applications now have a new member: the App Maker, the newest entry in the low-code, drag-and-drop app building market, which is a low source tool for rapid application development. Low-code Development Tools simply allows companies to create apps that can be developed and deployed without having much experience in programming. Like the tech giant Microsoft and many other startup companies also offer a similar solution with PowerApps, which is also a relatively new offering in the market. With App Maker, companies can create Web applications that integrate with other services of the G Suite, such as Gmail, Calendar, Drive, Maps and other Mountain View services and virtually any service that offers an API. Its interface is very simple, as the software itself contains a drag and drop editor, data modeler point and click and a script editor. Since the same infrastructure that the G Suite would be used to implement these applications, users will have scalable, high-performance applications without worrying about the underlying technology. Hold on, even the users can manage these applications then run on the same infrastructure on which Google’s own G Suite apps run, and IT admins can also manage them in exactly the same way as Gmail, Drive, and other G Suite applications. Now many of the advanced users or developers might be thinking that this App Maker is just for basic development right. The answer is “NO”, though the initial focus of App Maker is to make things easier for those who don’t have much technical knowledge, there is also support scripts for the most advanced who want to customize their further applications. 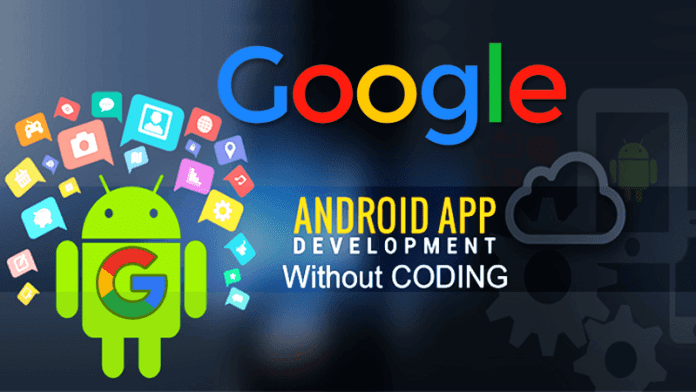 So, what are you waiting for simply download your Android Application development tool “App Maker” which is now available through Google’s Early Adopter Program for the G Suite Business, simply go ahead to create or develop your first Android app and publish it on the Google Play Store.